does it all mean? Luckily, Sunrise Smarthome is here to figure it all out for you. All 4K HDR needs to mean to you? The most amazing picture possible on your new TV or projector. If your television is more than 4 years old, just about any television you can buy today will knock your socks off. Sunrise Smarthome will help you navigate all the choices from leading vendors such as Samsung, Sony and LG. 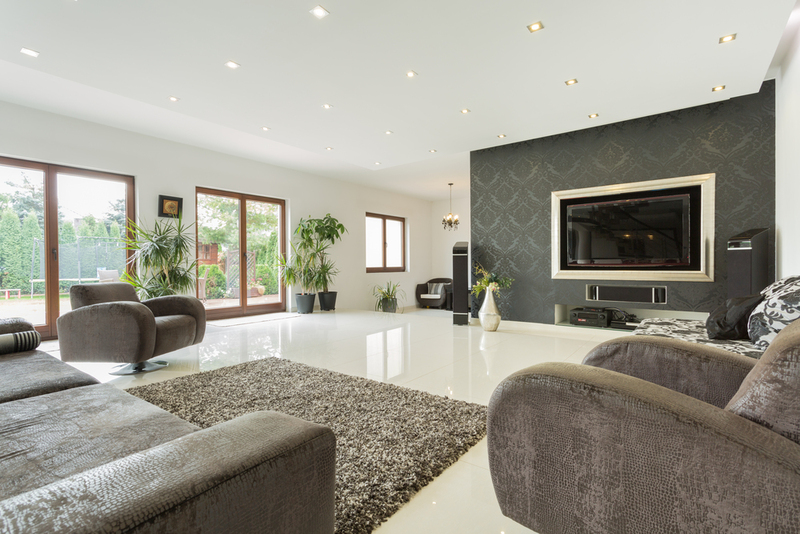 We specialize in no-gap, thin-mount installations and can hide your streaming devices behind the TV itself. Come see the critically-acclaimed LG Signature OLED W7 in our showroom. All three of the leading streaming set-top boxes -- Apple, Amazon and Roku -- now support 4K HDR video. 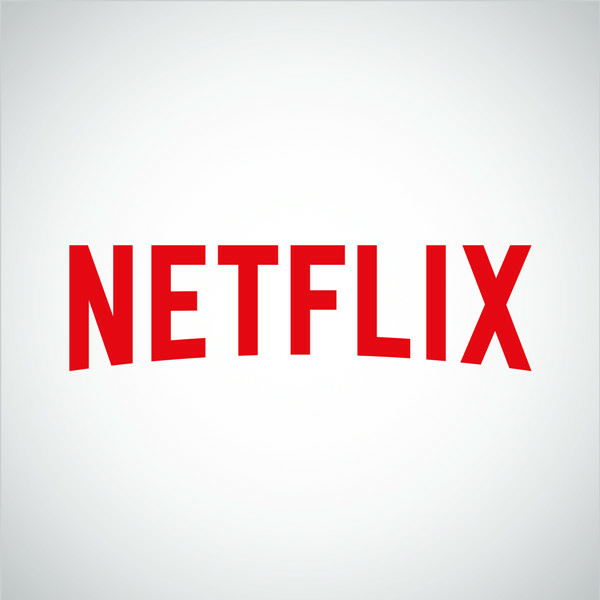 Most 4K content is available through Netflix and Amazon Prime Video, although recently more and more pay-per-view titles are being released in 4K. If your house in the Hamptons is your second home (and your second cable bill), we can help with a variety of cord-cutting strategies. Pay for channels like HBO once by using the HBO Go app and your FiOS or Spectrum logins. Or go all in and use a live TV app like Playstation Vue and get rid of your cable boxes altogether. plus many more in our showroom. For sheer screen size, nothing beats a projector. When you go to the movies these days, more often than not you're watching a 4K movie on a 4K projector (albeit a $150,000 one)! Home theater projectors have caught up in a big way to the actual cinemas. 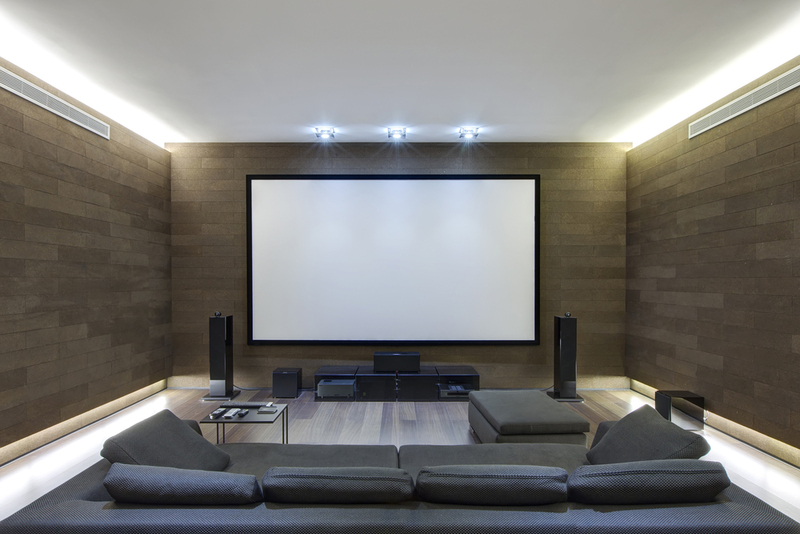 Sunrise Smarthome specializes in 4k projector solutions, including HDMI-over-fiber, projector elevators and screens that disappear into the ceiling. 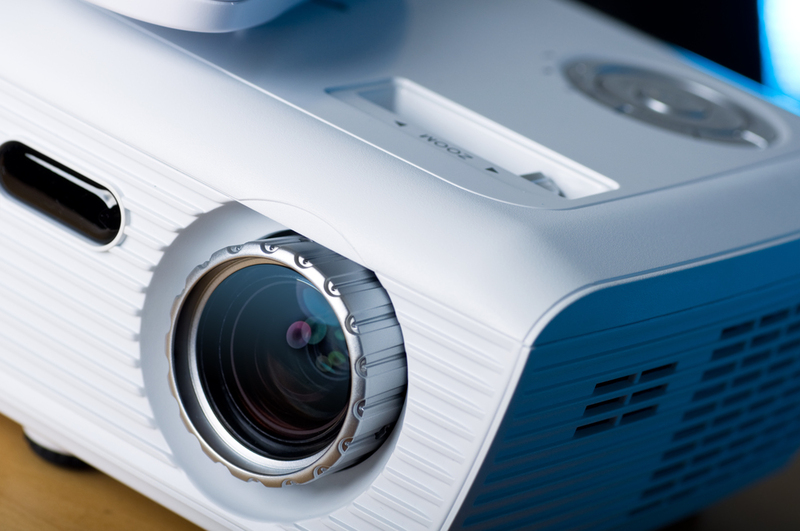 Come see the state-of-the-art JVC DLA-RS4500K projector in our showroom. 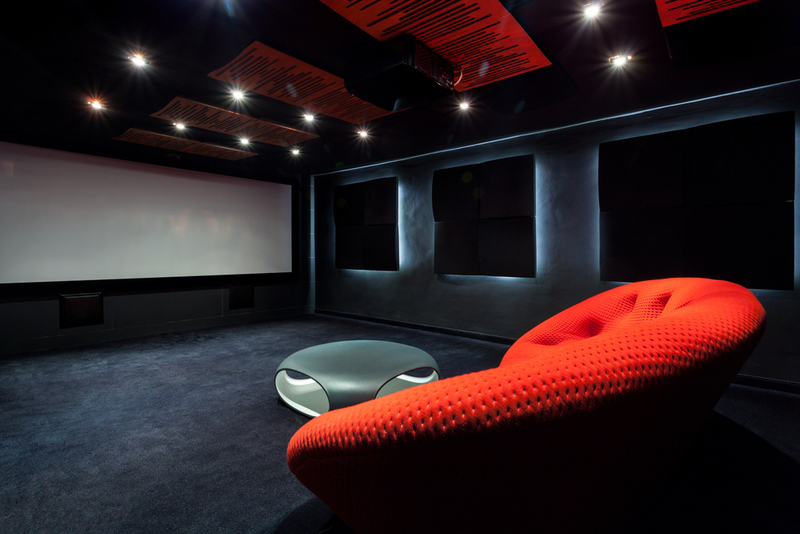 For a truly immersive cinematic experience, surround sound is an essential part of a true home theater. Starting with wire-free 5.1 surround, using Sonos speakers, all the way up to Dolby Atmos which distributes audio across as many as 15 separate speakers and subwoofers. Sunrise Smarthome provides full wiring capabilities, including Audyssey room calibration for supported surround receivers. Remote controls should be intuitive and easy-to-use, and most importantly control any device that needs controlling. The Logitech Harmony Elite remote control integrates with just about any device, providing control of Bluetooth devices (Sony Playstation 4 Pro, Amazon Fire TV), IP devices (Roku Ultra, Sony Smart TVs) and can be controlled from your tablet, smartphone and even your voice, through Alexa or Google Home. The Harmony controls smarthome devices like thermostats and lighting as well. Come see the Harmony Elite in action at our showroom!